'MADISON, WISC., Strand Associates, Inc.® (Strand), is pleased to announce the promotion of Matthew S. Richards, P.E., to President and CEO, effective April 1, 2019. Matt will become the fifth CEO in the company’s more than 70-year history. He succeeds the retiring Philip E. Budde, P.E., who started with Strand in 1976, became President in 2005, and then CEO in 2017. Strand Associates, Inc.® began in 1946 in Madison by a veteran of WWII, a handful of employees, and one office. 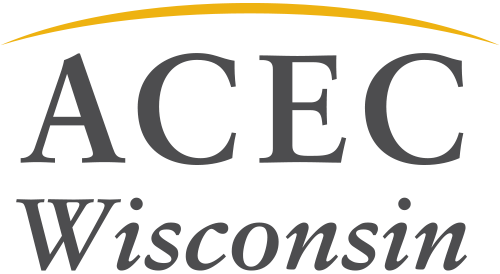 It is still headquartered in Madison, but now employs more than 400 through 11 offices across the country and serves state, local government, and private-sector clients. Regional quality-of-life infrastructure projects that Strand has engineered include the Verona Road Improvements and Beltline Interchange project, the Waukesha Wastewater Treatment Plant Upgrade, and the Illinois State Toll Highway Authority Open Road Tolling project. “I’m excited to turn the reins of leadership over to the next generation of managers to build upon the success that Strand has achieved over the last 73 years, and I’m confident that Matt’s dedication and leadership will lead the firm toward continued future success,” said Phil. Matt began his career at Strand in 1998 after earning a Bachelor of Science degree in Civil Engineering from University of Wisconsin-Platteville. He has served Strand in many capacities, including project management and business development; leading the risk management group; and as a member of the firm’s Board of Directors, as Corporate Secretary, and Executive Vice President. “The future for our industry and for Strand Associates, Inc.® has never been brighter, and I look forward to building upon the foundation of excellent service to our clients that Phil and the preceding leadership helped establish. Thank you to Phil for his contribution to the firm’s overall growth and success, and for guiding us in providing our clients with true excellence in engineering,” said Matt. Darcie Gabrisko, P.E., Vice President and Director of Operations-Joliet, Illinois, has been elected to the Board of Directors. “Darcie has been in our Joliet office from the beginning and has been instrumental in the steady growth of that office over the last 31 years,” said Phil. Joe Bunker, P.E., Assistant Corporate Secretary and Director of Operations-Madison, Wisconsin, has been elected Corporate Secretary to assume those duties from Matt Richards. As such, Joe has been elected to the Board of Directors and to serve as Vice President. “Joe has diligently served our Wisconsin Department of Transportation client for many years and is our project manager for the nationally recognized, ongoing Verona Road and Beltline Interchange project in Madison,” said Matt.